Uncle John and his team of devoted researchers are back again with an all-new collection of weird news stories, odd historical events, dubious “scientific” theories, jaw-dropping lists, and more. This entertaining 31st anniversary edition contains 512 pages of all-new articles that will appeal to readers everywhere. 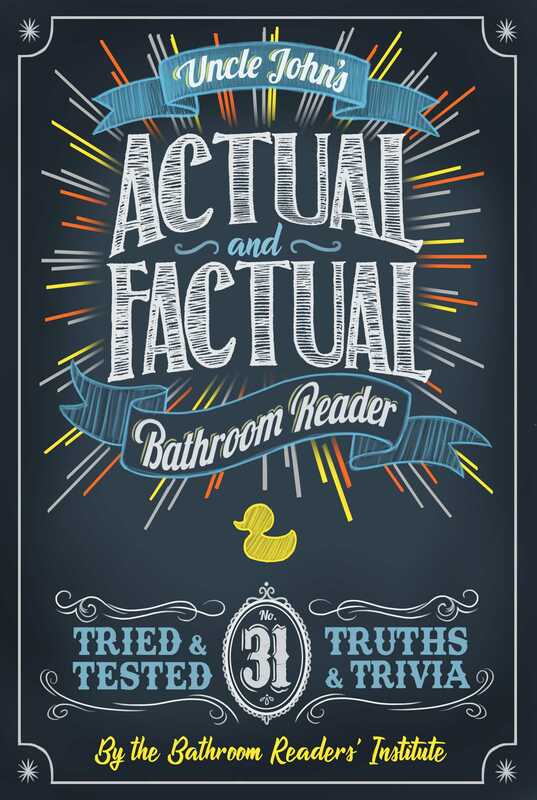 Pop culture, history, dumb crooks, and other actual and factual tidbits are packed onto every page of this book. Inside, you’ll find . . .